This book is absolutely packed with more than 200 big, full-color photographs of fabulous decks from around the country. Here you can find ideas for overcoming problem slopes, incorporating treasured trees, encircling spas, creating conversation pits, and enhancing gardens. For those who want to undertake their own construction project, there's a cut-out planner along with blueprints and lots of helpful hints to get you started. 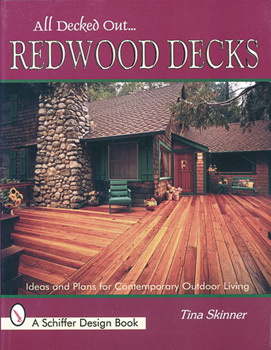 Redwood Decks is a complete start-up kit for anyone looking for ways to refocus their life in the great outdoors.